Organic White Chocolate Truffle Moisturiser by MULONDON – Good Enough To Eat! Organic, All Natural Chewing Gum – Meet Chicza Gum! Helping you live a healthier, safer and more natural lifestyle. Chemicals In Sunscreens. Safer Alternatives. Healthy Chocolate. Raw Cacao Benefits. Diet Related Causes of Gas & Bloating. Organic Food Really is Healthier. Are Ready For A Pet? Rabbits. Are Your Kids Old Enough? Is it Real Fur or Fake Fur? This article is broken up into parts. It starts with a definition of EMF and the health concerns linked to EMF exposure. Further down the page, there is a simple to follow guide on how you can minimize your families exposure to EMF in your home. It is the magnetic current given off when an electric field flows. Strong electric currents will give off a stronger EMF. The human eye cannot see EMF. An ELECTRIC FIELD will exists in the area around any appliance that is plugged into an outlet, even when not in use. The MAGNETIC FIELD or EMF occurs when the appliance is in use. The only way to stop an electric field is to switch the appliance off at the wall socket or completely unplug it. EMF occurs naturally and emits from ALL electric man-made gadgets. EMF can create different wavelengths/frequencies and this article deals with how some of the EMF frequencies are believed to adversely affect out health. Some of the most common and believed dangerous, emitters of strong man-made EMF are, mobile phone towers, cell phones/mobile phones and electrical appliances that use Dect Tecnology – Digital Enhanced Cordless Technology; e.g cordless home phones and baby monitors. Accumulative and high exposures to the radiation caused by EMF has been linked to various life threatening diseases. The biggest concern according to scientists is how EMF affects young children. This is due to their small body mass ratio, thinner skin, rapidly developing organs and bones. various other health issues www.powerwatch.org.uk/health/leukaemia.asp. Lyon, France, May 31, 2011 ‐‐ The WHO/International Agency for Research on Cancer (IARC) has classified radio-frequency electromagnetic fields as possibly carcinogenic to humans (Group 2B), based on an increased risk for glioma, a malignant type of brain cancer1 , associated with wireless phone use. See the full official press release here. The trouble is the jury is still out on the damage that EMF can do to our health. Many scientists through their tests and studies are convinced it is indeed dangerous, others still need more evidence. But do we wait like we did with cigarettes and pesticides, until they have conclusive proof, or do we protect our families and err on the side of caution? Here at Living Safe I have found enough convincing and factual evidence to justify giving you the tools to take certain measures to protect your families as much as possible from exposure to excessive EMF. New technologies such as WiFi is of real concern, as not enough is yet known on how it affects the human body, but the evidence is slowly gathering to show that there is indeed, some serious, negative health impacts. France Bans WiFi in Kindergartens and Childcare Facilities. France is taking the potential health risks of WiFi seriously by acting with precautionary measures. France has become the first country to official ban WiFi in preschools and childcare centers where there are children under the age of 3. In primary schools France has stipulated that WiFi should only be turned on when needed for digital technology activities, but it must be turned off at other times. See more WiFi Banned in France Preschools. Take a moment to think about how many electronic devices you have in your home, all of them emit various level of Electromagnetic Fields (EMFs). Common household devices that emit EMF include; cordless phones, hairdryers, microwaves, baby monitors, mobile phones, desk lamps, fuse boxes (smart meters in particular), energy saving globes, Wi-Fi products, TV’s and all other manner of electronic devices, from the fridge through to your electric toothbrush. How dangerous the appliance is depends on the levels they emit. Modern Digital Baby Monitors use DECT technology and babies are constantly exposed to the EMF’s they emit. Where mobile phone use is extremely high, scientists have reported an increase in the rare salivary gland cancer that they believe is linked to mobile phones being held near the mouth Risk of Parotid Malignant Tumors in Israel. There are potentially hidden dangerous levels of EMF’s all around our homes. Here at Living Safe I conducted my own mini experiment. Unknowingly there may be appliances and pipes in your home emitting extreme levels of EMF. It is only through a trained Building Biologist can you professionally and accurately get your home measured. See Find Out What A Building Biologists Is and What They Can Do. We found this issue in our own home back in 2010 when I hired a trained, building biologist to come out and measure the EMF coming off the newly installed SMART METER. While she was over I asked if she would do a thorough measure of the EMF levels throughout the rest of our house using her professionally calibrated GAUSS meter and the findings were frightening. Right where we had our new baby sleeping in his bassinet, the readings skyrocketed up 26 mG. The recommended safety levels set by building biologist should be under 2mG where children sleep. Fortunately we were able to trace the high reading back to an unearthed mains water pipe that serviced our whole street and we remedied the problem by replacing a small piece of the old metal pipe with a bit of plastic piping, set very close to our water meter and this in turn broke the electric current. We then hired from ARPANSA a Gauss Meter to recheck the levels of EMF in the baby’s room and they had dropped right down. As a little EMF do-it-yourself test, we used this same GAUSS meter to check every electrical appliance we had in our home. Surprisingly we found by far the worst reading came from a couple of desk lamps, which we were using as bedside lamps; their reading was in the 90’s mG! This is extremely high and we had been sleeping with them right next to our heads for years! I also took this hired Gauss Meter to a lighting store and measured similar types of desk lamps and found that the ones that had a transformer in the base, like above, all measured at these extremely high levels. Another major danger which unfortunately is a lot harder to control, is exposure to high levels of EMF’s from power boxes and mobile phone towers etc. But there are protective measures you can take if you do live in close proximity to them. 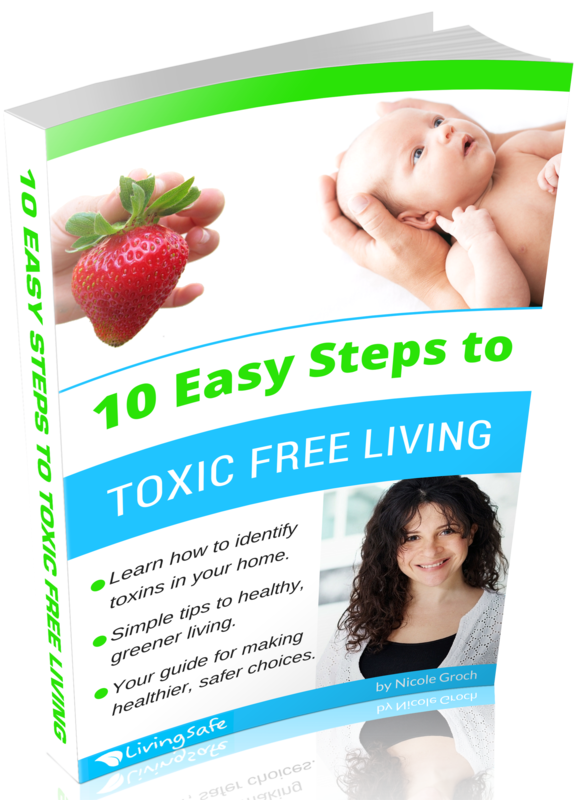 Here is a list of simple measure we can all take to keep our home environment low in EMF’s. They are all easy and doable and in my opinion taking these precautionary steps is well worth the small amount of effort required. Choose not to use baby sound monitors; instead have the baby close enough to you so that you can hear if they make a noise. Remember we were all raised without using these monitors. If you really feel you need to have a monitor keep it well across the room at a safe distance from the baby e.g at least 2 meters away. Cable up your computer – Do not have WiFi computer connections for your computer and TV’s. Instead opt for cabled connections for your internet services. Do not let children use laptops and gaming consoles that connect to WiFi. IF YOU CHOOSE TO HAVE WiFi TURN THE MODEM OFF EACH NIGHT WHEN YOU SLEEP. Hire a professional Building Biologist to come out to professionally survey and meter your home. They will be able to give you expert advice on how to shield your home. Turn off electrical appliances at the power point when not in use and distance yourself from power adapters and converters that are plugged into your power points. Limit mobile phone use and turn your mobile off when not in use; e.g during the night. Do not store your mobile phone on your person where possible and do not allow children to play with your mobile. Do have your digital clock radio, iPod dock, or mobile phone or charger close to your bed. 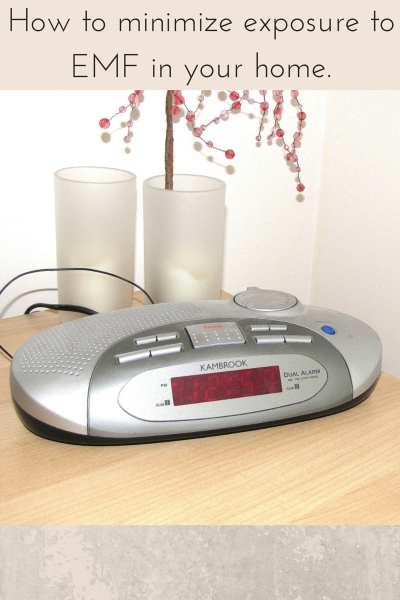 If you have a digital clock radio have it as far away from your bed and head area as possible. It might mean you can’t hit the snooze button as easily, but on the positive it will force your to get out of bed when the alarm goes off. When buying a new house or business property, try to avoid properties in close proximity to power lines or mobile phone towers. Before you leave, if you enjoyed this article sign up to LivingSafe and stay informed! LivingSafe helping you live healthier & safer. Why Organic Food Really is Healthier.